Most counties reacted skeptically, as well they should. The Texas Tribune reached out to 13 of the 15 counties with the most registered voters on Monday; Galveston was the only one that indicated it would immediately send out letters, even as more than a dozen civil rights groups warned the state and local election officials that they risked violating federal law by scrutinizing the voters flagged by the state. 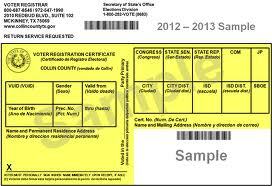 Bruce Elfant, Travis County’s tax assessor-collector and voter registrar, indicated he was concerned about the accuracy of the data because the county has previously received data from DPS that was “less than pristine.” County officials vowed to review the list of 4,547 registered voters they received but were still trying to convert the data into a usable format. He said he also wanted more information about the methodology the Texas Secretary of State’s office used to compile the list, pointing out that naturalized citizens may have obtained their driver licenses before becoming citizens. Other county officials echoed Elfant’s point about naturalized citizens. Collin County’s election administrator, Bruce Sherbert, said they had received a list of approximately 4,700 names and would consider them on a case-by-case basis, checking for cases in which a voter might have already provided some form of proof they are citizens. Facing a list of 2,033 individuals, Williamson County officials said they were considering ways in which they could determine citizenship without sending notices to voters. Chris Davis, the county’s election administrator, said some naturalized citizens could have registered to vote at naturalization ceremonies in other counties, so their files might indicate their registration applications were mailed in from there. “We want to try to avoid sending notices to folks if we can find proof of their citizenship, thereby they don’t have to come in and prove it themselves or mail it,” Davis said. Election officials in Fort Bend County said they had received a list of about 8,400 voters, though they noted some may be duplicates. El Paso County officials said their list included 4,152 voters. Harris County officials did not provide a count of voters the state flagged on its rolls, but Douglas Ray, a special assistant county attorney, said they were treading carefully because of previous missteps by the state. See here and here for the background. I’m certainly glad we have county officials now in Harris County that care about protecting the right to vote, but the reaction from places like Collin and Williamson was a pleasant surprise. As for Galveston, well. There’s one in every crowd. If common sense and a principled commitment to the right to vote wasn’t enough to treat the SOS advisory with skepticism, there’s also this. It’s unclear at this point how many counties have received these calls. County officials said Tuesday they had not received anything in writing about the mistake. It’s also unclear how many people will be removed from the original list of approximately 95,000 individuals flagged by the state. The secretary of state’s office did not respond to questions Tuesday about how much this would reduce the initial count. I dunno, maybe next time check for that sort of thing before rushing to publish? Just a thought. I’m sure Ken Paxton et al will duly correct any now-inaccurate assertions they may have made about the initial advisory. And then, the least surprising update to all this. In a lawsuit filed in federal court in San Antonio, lawyers for the League of United Latin American Citizens’ national and Texas arms alleged that Texas Secretary of State David Whitley and Attorney General Ken Paxton violated a portion of the federal Voting Rights Act that prohibits the intimidation of voters. They point to an advisory issued Friday in which Whitley’s office said it was flagging individuals who had provided the Texas Department of Public Safety with some form of documentation — including a work visa or a green card — that showed they were not citizens when they were obtaining driver’s licenses or ID cards. The state put the number of registered voters who fell into that category at approximately 95,000 — 58,000 of whom had voted in one or more elections from 1996 to 2018. In its announcement, the secretary of state’s office said it had immediately turned over the data to Paxton’s office. On the same day, Paxton posted the news on Twitter prefaced with “VOTER FRAUD ALERT,” the lawyers noted in the lawsuit. “These two Texas officials have carefully crafted and orchestrated a program that combines an election advisory ostensibly directed at ensuring that all those registered to vote in the May election are citizens eligible to vote with the use of data that is suspect on its face and a blackout on public access to the data,” LULAC’s lawyers wrote in the complaint. I mean, someone was going to have to sue eventually. Why wait? Texas Monthly and the Observer have more. Before you go, here’s a little story from my archives that might be of interest to you. It involves an actual, by-God case of a non-citizen voting, right here in Harris County, in a high profile and hotly contested election. You might be surprised how it turns out. Enjoy! State officials on Tuesday acknowledged widespread errors in their list of 95,000 Texas voters flagged as potential non-citizens, reinforcing the concerns of advocates who say the state’s effort amounts to illegal voter suppression. In Harris County alone, officials said, more than 60 percent of nearly 30,000 names on a list the state supplied last week are being removed after new guidance from state officials. Voter registrars in several other counties reported getting similar calls Tuesday from the Texas Secretary of State’s office, which last week said its review showed that 95,000 registered voters did not appear to be U.S. citizens. On Tuesday, officials in Harris County and several other counties were told to remove from their lists names of people who registered to vote at Texas Department of Public Safety offices. Harris County officials also were advised to remove those who registered to vote at a naturalization ceremony, said Douglas Ray, a special assistant county attorney who specializes in election issues. With the new criteria, Harris County was able to remove more than 60 percent of the names off the nearly 30,000-voter list it was sent. Only about 11,000 names remain. “Our experience with these mass lists from the secretary of state’s office is that they’re very questionable, so we have to treat them very carefully,” Ray said. And that’s before any of the counties do their own checking. We can’t sue these clowns hard enough. This is shameful. Someone should be fired for this. Why do we elect such idiots? Jules, the reason is because they all joined the Republican Party. They are not a legitimate paper, they are a front for the Russians, Bill. Why isnt anyone talking about the affirmation of the Social Security Administration regarding citizenship? Both SSA and DPS input checks and balances with state voters roles. SSA has been informing about legal status for years. DPS cant even register voters correctly. Why would they be trusted to maintain citizeship files?